Od 27.10.2018 do pobrania jest nowa wersja systemu operacyjnego dla serwerów firmy QNAP. QTS w wersji 4.3.4 Beta wprowadza wiele ciekawych funkcji, szczególnie dla serwerów z procesorami ARM. Pełna lista zmian dostępna jest poniżej, jednak w dobie wirusów szyfrujących dane, najważniejsza funkcja jaka została dodana to obsługa migawek. Producent ostrzega, że migawki potrzebują dużo pamięci RAM. Do efektywnej pracy zaleca się 4GB pamięci RAM, opcja migawek będzie też dostępna dla modeli z mniejszą ilością pamięci RAM, ale użytkownicy muszą zrozumieć, że przy tak małej ilości pamięci RAM może to działać wolniej. Poniżej prezentujemy firm z bardzo popularnym w Polsce QNAP TS-231P na którym już zainstalowano QTS 4.3.4 w wersji Beta. Na filmie możecie obejrzeć jak działają migawki właśnie na TS-231P, który ma tylko 1GB pamięci RAM. 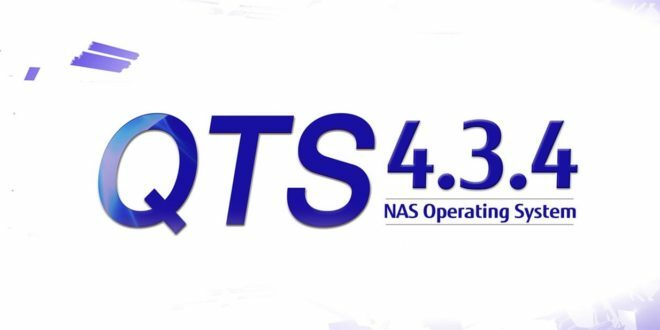 [Important Notes] – As QTS previous versions of ARM models do not support snapshots, when you upgrade to QTS 4.3.4, the original volume cannot use this feature immediately. To solve this problem, you have to back up the existing data on your QNAP NAS to external storage. Then you can rebuild the QNAP NAS and take snapshots to the new storage pool with multiple volumes. – Users can now downgrade QTS on ARM-based models. To downgrade to the target version, first downgrade to QTS 4.3.3.0351 Build 20171023 (or later versions). – Added support for the TP-Link TL-WDN7200H USB Wi-Fi adapter. – You can now connect a smart phone as an external storage device via the MTP or PTP protocal. – Added support for viewing 360° videos and photos in File Station Media Viewer. – Added support for opening text files with Text Editor. – Added access to snapshot features in File Station. – Added access to Qtier Auto-Tiering features in File Station. – Added support for playing videos with VLC media player in File Station. – Snapshot Manager can be opened from File Station. – Snapshot Directory enables users to view and restore snapshots in File Station. – A shared folder can be automatically migrated to a snapshot shared folder. – Added support for discrete GPU cards. A GPU card can improve trascoding performance, and enables your NAS to run HD Station and Linux Station (only supported on TS-1635 and TS-x77 series NAS). 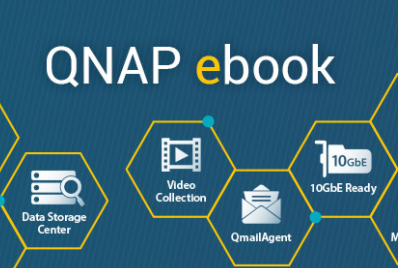 – Users can now use their phone number as their QNAP ID when registering the NAS to their myQNAPcloud account. – New application Qboost helps you optimize RAM usage, clear junk files and schedule your applications. – Added more Qtier reporting options. – You can specifiy times that Qtier should not perform auto-tiering in both Qtier scheduling modes. – Qtier’s algorithms have been updated to improve random access performance. Qtier has a new automatic optimization mode, where advanced settings such as tiering priority, SSD tier reserved space and data allocation priority are hidden. – A normal storage pool can now be converted to a Qtier storage pool at any time. – RAID 50 and RAID 60 can be used with Qtier and static volumes. – Resource Monitor now shows shared graphics memory usage. – Resource Monitor now shows dedicated graphics card memory usage. – Storage & Snapshots contains new snapshot overview and summary pages. – When creating a new snapshot timezone information is now included in the snapshot name. – In Snapshot Manager, files and folders can be restored from a snapshot to a remote location or as a new shared folder. – File-based LUNs can now be viewed in Snapshot Manager, and can also be restored to their source volume as a new LUN. – Added new Snapshot Replica backup plans and schedules. – RAID 50 and RAID 60 are now supported. – Added instructions on how to fix a RAID group which is in a degraded or error state. – „Secure Erase” enables you perminantly erase all data from a disk, with three modes: complete erase, ATA command erase and fast erase. – A thick volume can now be converted to a thin volume. Users can now adjust RAID rebuild, migration, scrub, sync priority and speed. – Added support for the HTTP Live Streaming protocol. – QTS now displays a warning message and asks for confirmation when installing a 3rd-party application. – App Center now helps with dependencies between dependent applications. – QTS now displays information about QM2 expansion cards in „Control Panel” > „System” > „System Status” > „Hardware Information”. – File Station now displays information about SSD cache and Qtier auto-tiering. – Updated the @Recently-Snapshot folder icon in SMB shares. – A snapshot shared folder can now be created using thick provisioning. – Users can now access HybridDesk Station via Remote Desktop without connecting the NAS to an HDMI monitor. – Users can now disable Qtier auto-tiering on individual shared folders or LUNs. – A beginners guide to QTS is shown to new users when they first log into QTS. – Increased file-based SWAP size to 16GB on advanced NAS models. – Resource Monitor now shows system services and system processes seperately. 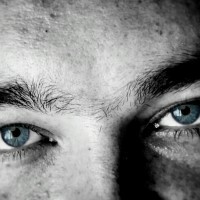 – A LUN snapshot can now be reverted while the LUN is mapped to an iSCSI target. – The automatic deletion of old snapshots can now be disabled. – Hidden files can be made visible in Snapshot Manager. – „Storage & Snapshots” replaces „Storage Manager”. It includes a redesigned and improved storage management interface. – Reduced the memory requirement for using snapshots from 4GB to 1GB. The maximum number of snapshots per volume/LUN/NAS is dependent on the amount of installed memory. – The SSD cache flush algorithms have been updated for better caching performance when under high load. – A disk trim and performance test is now automatically performed when creating a RAID group. – Improved the storage pool and volume creation wizards. – Thin volume space can now be automatically reclaimed if storage pool space is low. – Updated Virtualization Guide content. – Changed the default bytes per inode options when creating a volume. – Added a free storage pool space wizard to help create free pool space. – Detailed RAID scrubbing results including fixed block counts are now recorded in the system event log. – Added support for creating storage spaces of over 16TB on certain ARM-based NAS (TS-x31P, TS-x31X, TS-x35 series). – Thin volumes now get status read/delete instead of read-only when their parent storage pool is full. This enables you to delete data and free up storage pool space. – HybridDesk Station no longer displays information about non-existing HDMI ports on the TVS-882ST2. [Known Issues] – Unable to delete files via SMB when a volume is in read/delete mode.